This is a state law. The Kentucky Division for Air Quality can impose fines of up to $25,000 per day per violation of the law. ﻿The City of Livermore encourages citizens to report illegal burning. 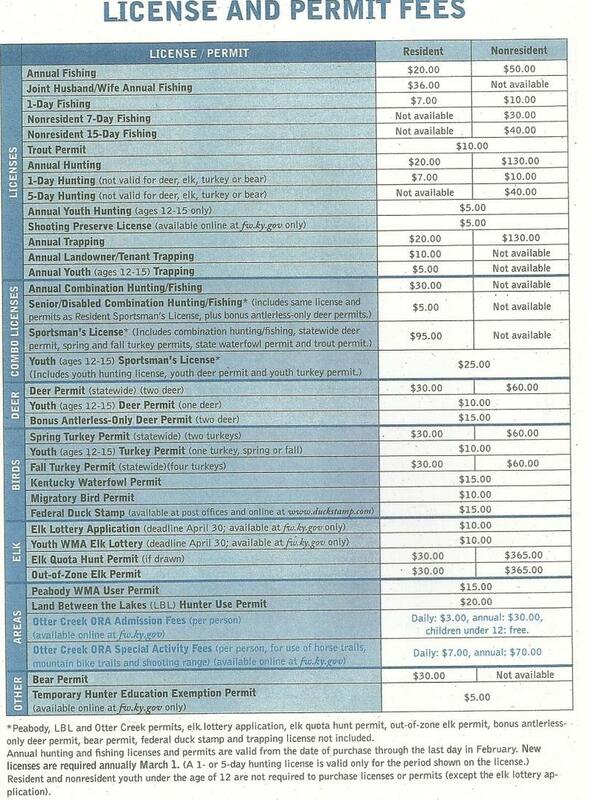 The City of Livermore is now selling Kentucky Fishing and Hunting Licenses. They can be purchased at City Hall Mon-Fri, 8-4. A 10% late charge will be added to the utility bill if not paid by the 15th day of the month, effective September 1, 2011 billing. Utility cutoff date remains the 21st day of the month (did not change); If deadlines fall on the weekend or a holiday, it will be moved to the next business day. The city will no longer mail out past due notices, effective immediately. Your original bill is the only notice you will receive. If your utilities are disconnected due to nonpayment, there will be a $50 fee for water reconnection in addition to the entire bill before your utilities will be reconnected. Bankpay is the easy way to pay your Water Bill every month. Simply download and print out the form below, fill it out and send it in to us. You will continue to recieve a paper copy of your bill every month, but your bill will be debited from your bank account on the 15th of every month. It's the hassle-free way to pay! Roger Austin of the Kentucky Drag Boat Association (KDBA) is embarking on an improvement to the Main Street boat launch ramp. This includes the extension of the concrete ramp at the river's edge. Contributions are being requested and accepted on behalf of the KDBA by City Hall. Checks can be made out to the KDBA and dropped off at the front desk at City Hall. Check out KDBA at their website, www.kdba.net. For questions regarding the requested contributions/donations, contact Deanna Edmonds, city clerk at (270) 278-2113 or click on the Kentucky Drag Boag Association tab. The city has adopted a new nuisance abatment ordinance. This prevents people in the city from having dilapidated houses, an excess of trash and/or junk on their property, or an overgrowth of weeds in their yards. If this occurs, the city will take action to tear down the house at the owner's expense, and/or be fined up to $200 per occurrence. To review the complete Ordinance, please note below, "Property Nuisance Ordinance, #2-08". 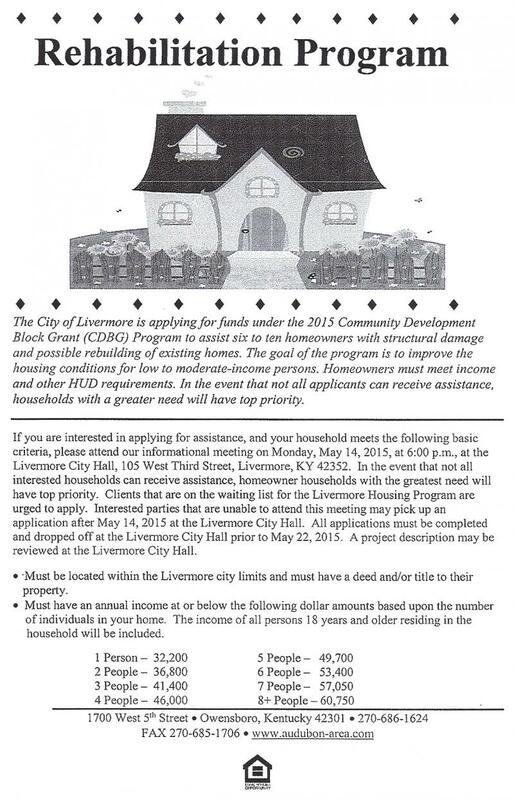 The City Hall building is home to the Senior Citizens of Livermore and is used as a gathering and meeting location. Meals are available on Monday, Wednesday and Friday - cost $1.50. Potlucks are scheduled once a month; see Ray Wilkerson, Senior leader for more information. The City Hall building is also rented out for special occasions, family reunions, weddings, and more. Below is a list of rates and links to the forms you need to fill out. Simply decide which day you wish to rent the building, print and fill out the required forms, and contact us. Monday through Friday, 4:00 PM to 10:00 pm: $75.00 rent per day; $75.00 refundable deposit provided the building is cleaned and trash removed from the premises. 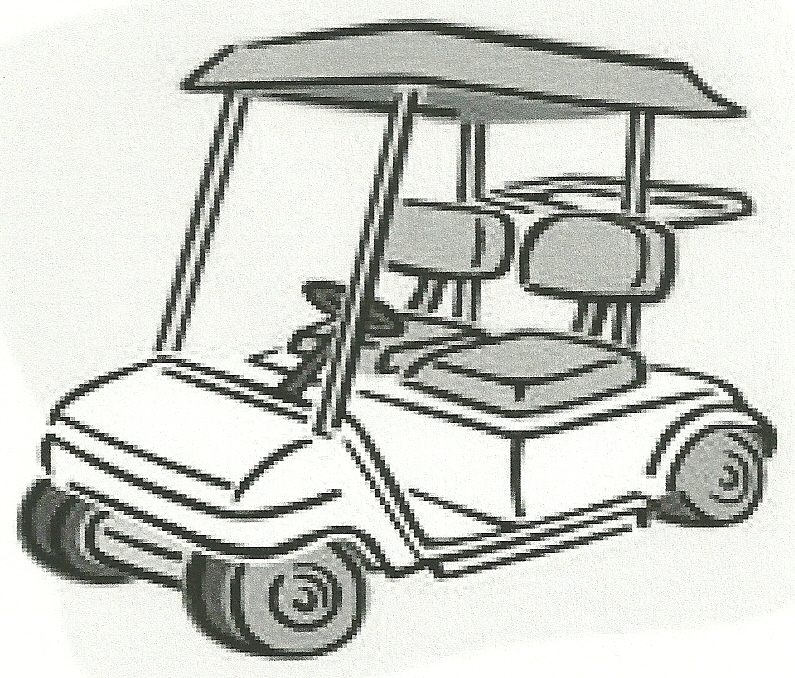 Saturday and Sunday, 6:00 AM to 10:00 PM - $100.00 per day; $75 refundable deposit provided the building is cleaned and trash removed from the premises. Saturday and Sunday - Benefit & approved Community Organization Events - 5 hours only (select your own hours) 6 a.m. to 10 p.m.; $75.00 deposit ($30.00 will be refunded if the building is cleaned; $45.00 will be retained by the City of Livermore to cover utilities and employee call out expenses). 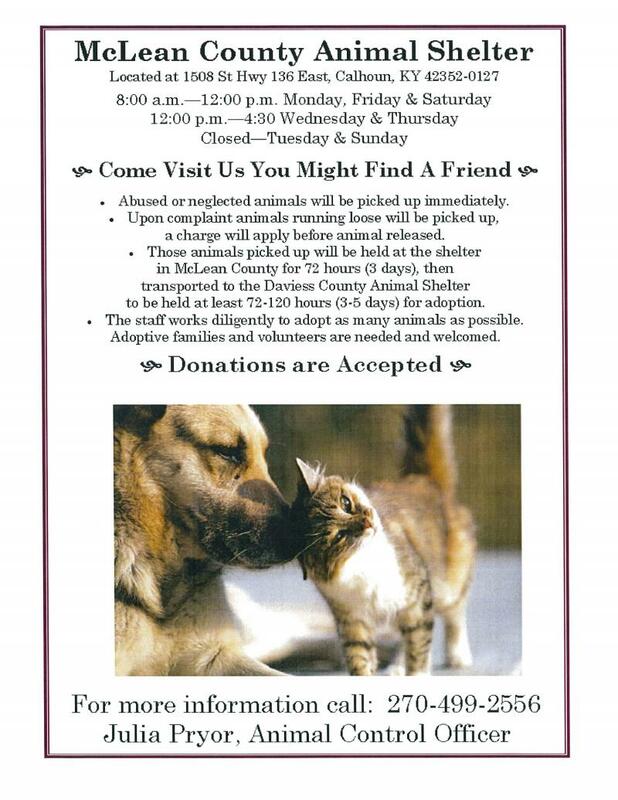 If 5 hours are extended, Mon-Fri rent and deposit applies. Renter's responsibility: The renter is responsible to setup tables and move them back to original setting (see attached documents below). Microphone/CD Player/Sound System: $100 deposit fee for usage of microphone/CD play/Sound System. If damage should occur to any of the equipment, deposit will be retained to repair equipment and renter will be billed if repairs exceed deposit amount. Please click on above "Solid Waste Options" link to locate recycling options information. The following files will provide you links to the City's Ordinances. 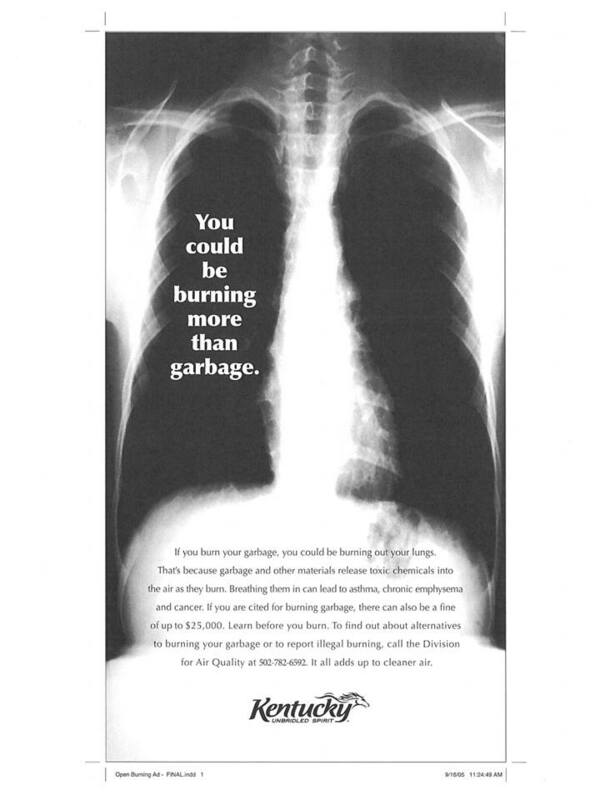 Did you know most Open Burning is illegal in the state of Kentucky? 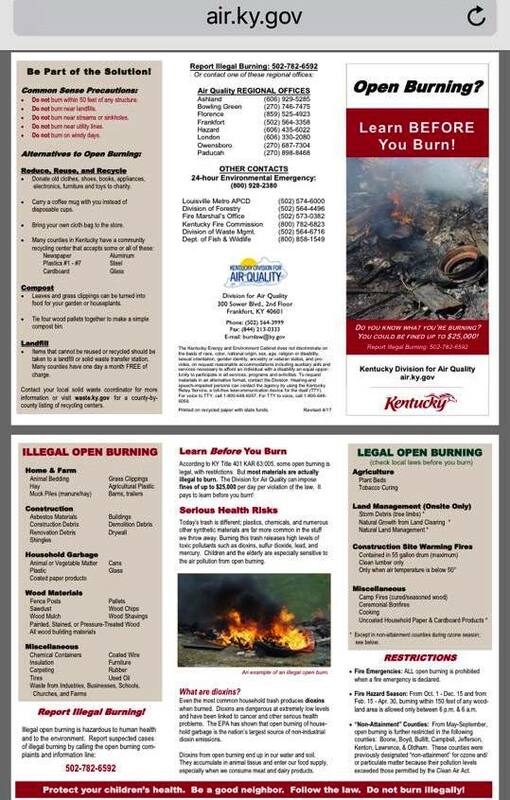 Brochures are available at Livermore City Hall that explain the difference between Legal Open Burning and Illegal Open Burning. Illegal Open Burning is hazardous to human health and to the environment. For more information, you can go to air.ky.gov. Report suspected cases of illegal burning by calling the open burning complaints and information line at 502-782-6592. City Council Meetings are held on a monthly basis at City Hall, every 2nd Thursday of each month at 7:30pm. All are welcome to attend.